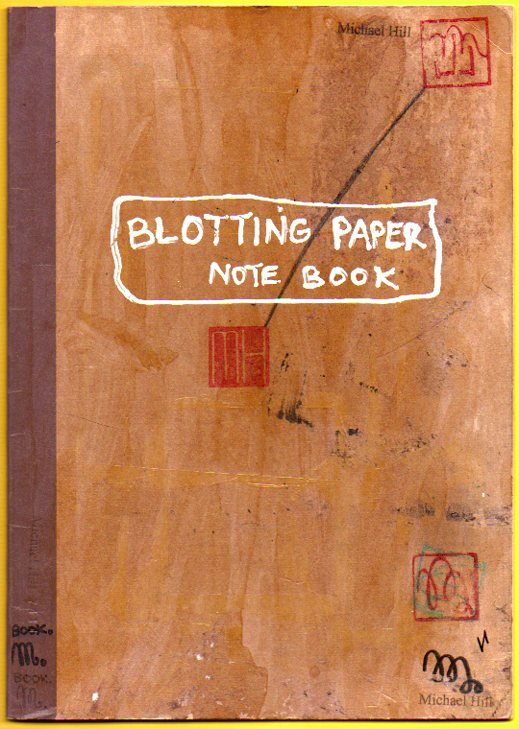 Continuing the series of regular reports documenting the production process of the first and second issues of my artist book/comic Blotting Paper: The Recollected Graphical Impressions Of Doctor Comics, Chapter 1: The Ingurgitator and Chapter 2: A Blot On His Escutcheon, this post shows and describes the use of some of the note books, sketch books and design processes involved. 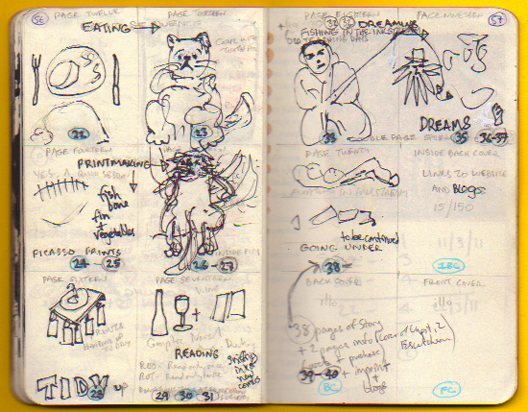 The main note book used on the project wherein details of the character, setting and story were developed. The larger note book (above) is primarily used for writing in. It is lined and contains notes about the characters and their traits, the environment in which they live and move around in, plus ideas about the narrative and its construction. 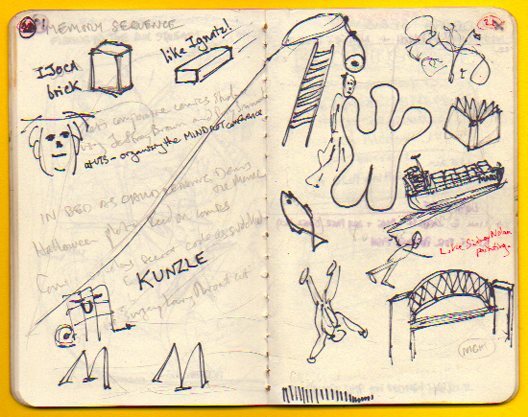 On the other hand, the smaller note books (below) contain more drawings and rough sketches than words and were developed in response to ideas worked out in the large note book. 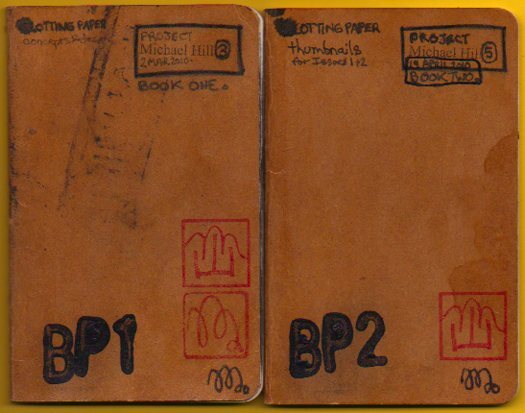 Two of the smaller note books in which design ideas and thumbnails were developed. These are moleskines. Notes and sketches for one of the memory sequences. 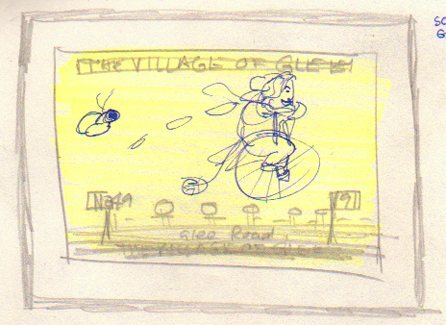 Thumbnails for a story sequence. Character design sketch in story sequence setting. Early design for one of the feline characters. 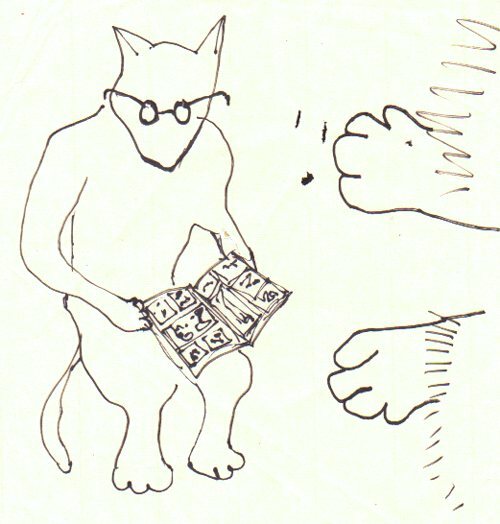 This entry was posted in Art, Blotting Paper, Comics and tagged artist book, drawing, note books, printmaking, thumbnails, visual diary, words and images by Doctor Comics. Bookmark the permalink.